Since 2010, Travelers has supported American Corporate Partners (ACP), a national nonprofit organization focused on helping returning veterans discover their next career. Through one-on-one mentoring, networking and online career advice, ACP engages and empowers former military as they transition into the civilian workforce. Our partnership has helped to create over 300 life-changing mentorships for hundreds of post-9/11 veterans. AcademyWomen is a global nonprofit organization that offers mentorship and training to empower future women leaders. Efforts are centered on providing an open forum through which veterans can safely share their stories, offer guidance and provide others with the tools necessary to achieving success. Travelers has proudly sponsored the Officer Women Leadership Symposium annually since 2009. Military Officers Job Opportunities (MOJO) is an exclusive, quarterly hiring event that pairs transitioning military professionals and veterans who have degrees with global corporations at various locations nationally. In 2016, the Travelers Foundation awarded a $1 million grant to fund Team Rubicon’s Mobile Training Center, a new disaster response outreach program. Team Rubicon, a nonprofit organization, unites the skills and experiences of military veterans with first responders to rapidly deploy emergency response teams after disasters, all while providing veterans with a sense of purpose, community and identity. The Mobile Training Center will travel across the U.S. to provide large-scale training events, recruit volunteers and establish relationships with state and local emergency management agencies. This partnership also expands volunteer and disaster-response training opportunities for Travelers employees. 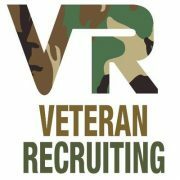 Veteran Recruiting (VR), a division of Astound Virtual, has changed the way military-friendly employers, service members, veterans and military spouses connect as it relates to the job search. Travelers is proud to be one of the first employers to participate in their virtual events, which support veterans as they search for career opportunities.